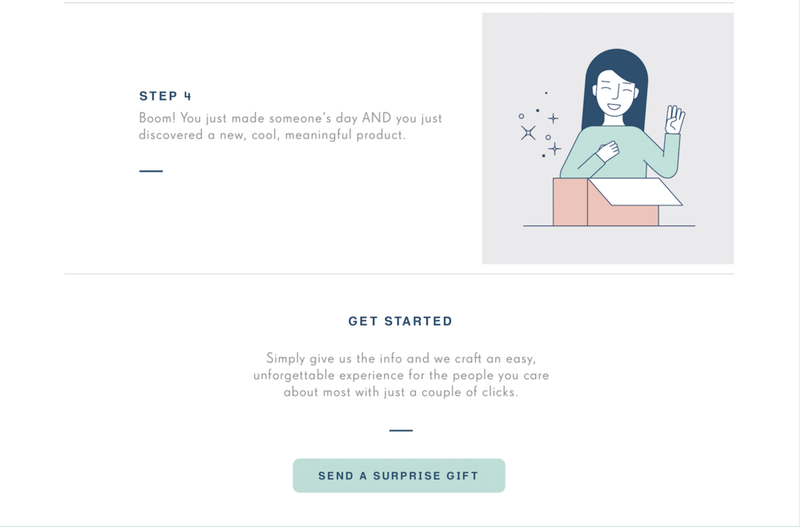 Surprisily is an experience-driven, gifting platform targeting millennials who want help finding unique and personalized gifts-- in less than half the time. 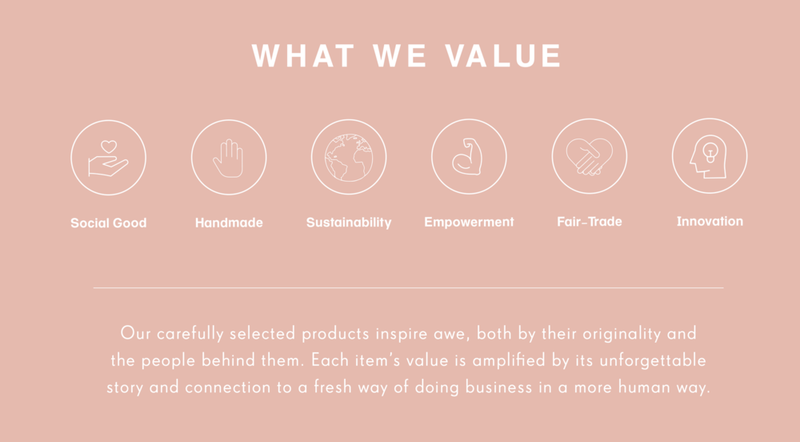 Surprisily curates $25, $40, and $60 ethically-sourced gifts and send them on the sender's behalf. Don’t know what to gift someone? They know just the thing. From the shipping box to the reveal of the sender's name, every detail of the unboxing journey was used as an opportunity to create a unique and unforgettable storytelling experience. 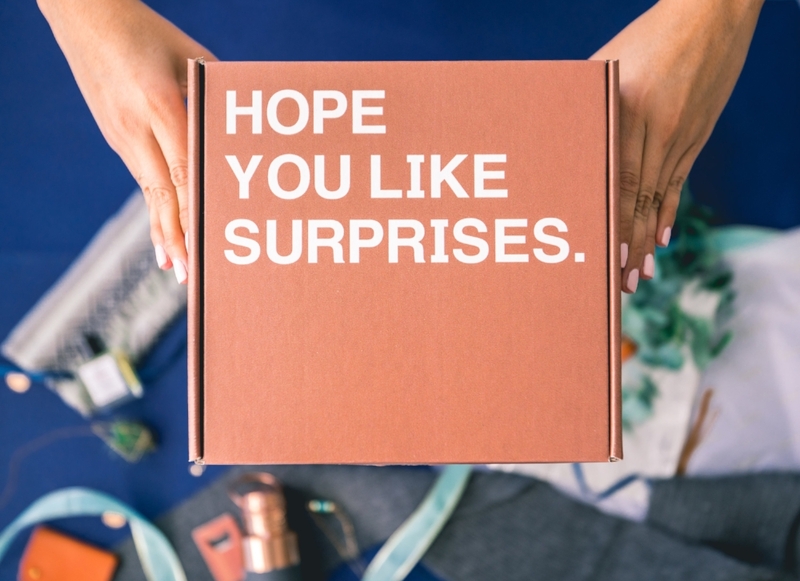 Building on the design principles of excitement, festive, and fun, as well as the inherent "surprise" element, the packaging was designed to captivate and provoke gift recipients by way of mystery and building the nostalgic "secret admirer" feel into the packaging. We wanted the packaging to evoke a visceral, physical experience that bonds the consumer to the brand. In order to build intrigue, place the product inside a series of layers, so the eventual discovery of the item inside is postponed for as long as possible. 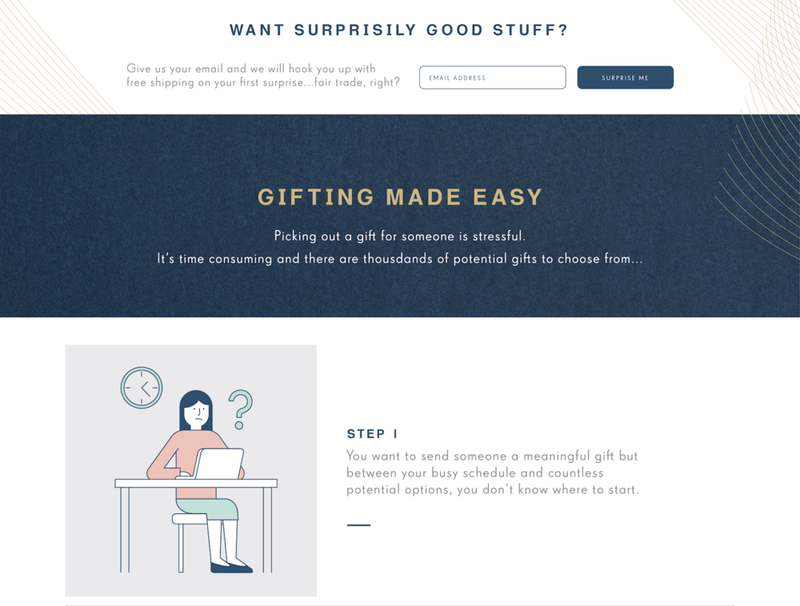 An e-commerce site that features a fun and cheeky questionnaire to help personalize the gift selection process. Used creative product photography to showcase Surprisily's fresh and festive unique style. Focused creative direction on images that capture adventure, travel, and gift-giving. Via François’ perspective the @Surprisily Instagram account will feature brand partner stories, his travel, coffee shops, events he attends, gifts for his ... mom, girlfriend, best friend, etc.